The Omaha Storm Chasers have extended their player development contract with the Royals to 2022. Omaha has the third longest affiliation with the same club, as they have been with the Royals since 1969. Only Lakeland with the Tigers and Reading with the Phillies are longer. 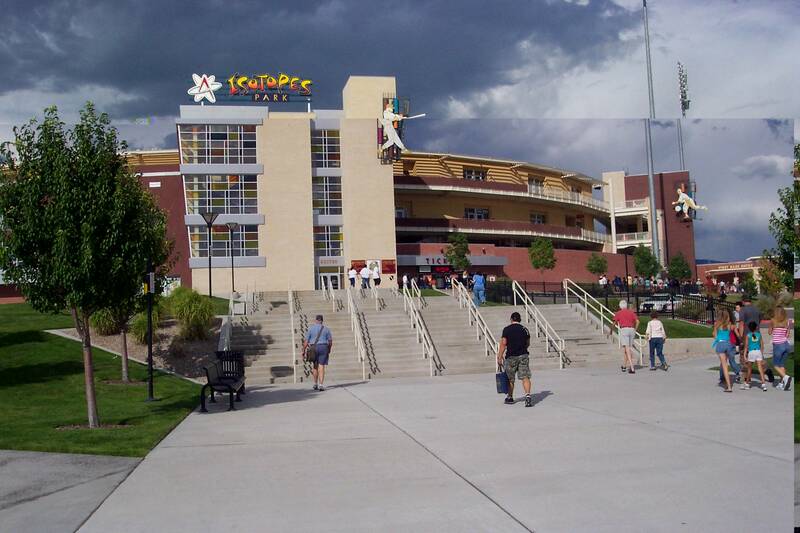 The Albuquerque Isotopes have extended their player development contract with the Rockies to 2022. The Isotopes have been a Rockies affiliate since 2015. The El Paso Chihuahuas have extended their player development contract with the Padres to 2022. The Chihuahuas have been a Padres affiliate since their inception in 2014. The Portland Sea Dogs have extended their player development contract with the Red Sox to 2022. The Sea Dogs have been a Red Sox affiliate since 2003. The Las Vegas 51s have changed their name to the Las Vegas Aviators. I think that it’s a much better choice and a more reasonable name than many of the other new choices. I didn’t like 51s since it was a tribute to Area 51 which is close to Las Vegas and not a being. Although when people think about Las Vegas, I don’t think the first thought is about the aircraft testing that is done in the area. This year, baseball betting has become legal in more states than just Nevada, including some near where I am just outside of Philadelphia, as Delaware and New Jersey now allow for legal sports betting. This was a long time coming, in my opinion, as many state governments are interested in their cut of the profits from legal sports betting. This means it is also legal to do sports betting online if you are in one of these states. While baseball betting may not be as popular as some other sports, it is still a fun activity. I think that one of the reasons that baseball doesn’t seem to attract the same level as attention as some other sports is that they have 162 games and each one isn’t as significant in the big picture. Every game does count and does allow for an opportunity to take a look at the pitching matchup, which generally drives the betting line, and is an opportunity to see if you can make some money based on your knowledge. Fine, I know that it is a good amount of luck, in addition to the skill that you have, but in the long run, if you know what you are doing, you should come out ahead. Things are getting a little more difficult now to determine how to place your baseball bets with the trend of “bullpenning” that some teams are using nowadays. This puts less emphasis on the starting pitcher and more on the ability of the team to match up their pitchers against the opposing team’s hitters. It was one thing when you could see the pitching matchup and make a determination of which one matched up better against the other’s offense. Now you would need to figure out which bullpen will prevail against the other team’s line up, not really knowing which pitcher they will be facing when. Ultimately what this does is remove the factor of the starting pitcher and matches up two teams as a whole against each other. So I would assume that if there was a case where all of the same pitchers were available two days in a row and there wasn’t a designated starter on either team, that the betting line would be the same each day. Things haven’t gotten to that point yet, but it’s interesting to think about. Anyway, I do encourage you to do some research on baseball betting and if it is legal where you are, I would recommend you give it a try. The new Pioneer League team in Colorado Springs, which is relocating from Helena, will be known as the Rocky Mountain Vibes. I thought that the Colorado Springs Sky Sox was a pretty good name, but they wanted to go in a new direction with the new team. Since their name isn’t a tangible object, they have lots of room for interpretation on how to incorporate a vibe into their identity. I do wish that they had kept the Colorado Springs name rather than Rocky Mountain, although I don’t think that Colorado Springs Vibes would have been an option. The new AA Texas League team in Amarillo which is relocating from San Antonio will be known as the Amarillo Sod Poodles. It is disappointing that another team picked a nickname for a local animal that few outside of that area would have any idea what they were talking about. But it must check all of the boxes for the minor league teams that take this approach. The Binghamton Rumble Ponies have extended their player development contract with the Mets to 2022. The Rumble Ponies have been a Mets affiliate since 1992 when the team relocated from Williamsport. The Astros High A affiliate in the Carolina League relocating from its temporary home in Buies Creek will be known as the Fayetteville Woodpeckers. I knew they wouldn’t choose the name of Generals that was previously used in Fayetteville, but Woodpeckers isn’t a bad choice, although some of the nicknames from there aren’t all that appealing. And I am glad that they are referencing Fayetteville in the name, unlike the last team in Fayetteville, the Cape Fear Crocs.